Cosmetic Dermatology magazine published a study by Dr Min-Wei Christine Lee, titled "Topical Triple-Anesthetic Gel Compared With 3 Topical Anesthetics" that evaluated the efficacy of 3 leading brands of topical anesthetics: TOPICAINE® 4%, Ela-Max® 5% (now LMX-5) and EMLA®, and a compounded triple anesthetic “BLT”. It is important to note that both EMLA and BLT are prescription only medicines. BLT is a compounded product, not FDA approved. LMX5 is an over the counter with 5% lidocaine, but TOPICAINE worked better, even though in this study, the investigators used the 4%. This is due to TOPICAINE's superior delivery system. The study was done in 30 patients and the anesthetics and placebo control were randomly applied to different sites in the arm of the patients. As seen in the graphic, TOPICAINE's pain score were half of those of EMLA or LMX5. That means the patients experienced HALF THE AMOUNT OF PAIN! After 45 minutes of application, the efficacy of TOPICAINE was superior to LMX5, EMLA and EMLA without occlusion. 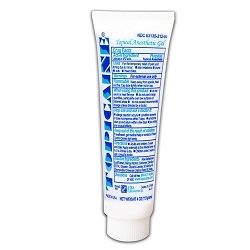 The compounded, non-FDA reviewed BLT product scored only 1 point lower in pain scores than TOPICAINE. 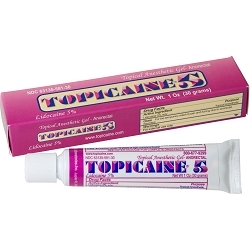 After 60 minutes of application, the efficacy of TOPICAINE was superior to LMX5 and EMLA without occlusion. 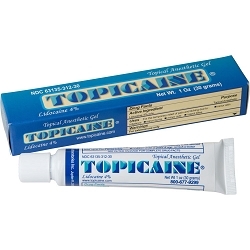 The efficacy of TOPICAINE without occlusion matched that of prescription EMLA with occlusion. 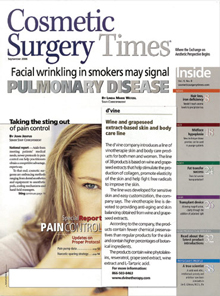 Cosmetic Surgery Times magazine published an article titled "Newer Anesthetics Block Nd-Yag Pain" reporting the work of Dr Joshua Fogelman, principal investigator in a double-blind, placebo-controlled clinical trial on 24 patients comparing the efficacy of TOPICAINE® 4%, Ela-Max® 5% (now named LMX-5) and EMLA®. TOPICAINE® 4% showed the best efficacy overall. The study was published in Lasers in Surgery and Medicine 2000; (Suppl.12):19 with title “Comparative Study of 3 Topical Anesthetics After 30-Minutes Application Time”. 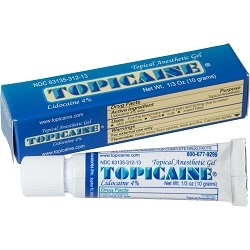 In comparing the anesthetics, researchers found both TOPICAINE® and ELA-Max® 5 statistically superior to EMLA® immediately after removal, while TOPICAINE® was the top performer 15 minutes after removal. 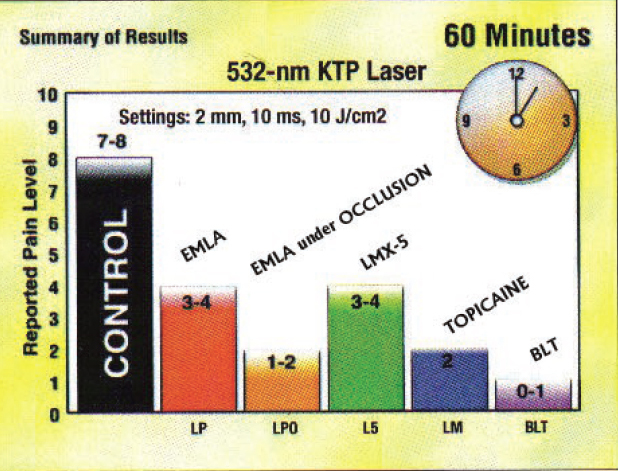 At the 30-minute mark after removal of the anesthetics, TOPICAINE® and EMLA® outperformed ELA-Max® 5. NOTE: In this study, the product was tested under occlusion. ESBA LABORATORIES DOES NOT RECOMMEND OCCLUSION. 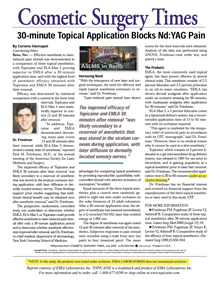 Cosmetic Surgery Times magazine published an article titled “30 Minute Topical Application Blocks Nd-Yag Pain” citing the work of Dr Paul M. Friedman, one of the investigators in a double-blind, placebo-controlled clinical trial in 24 patients comparing the efficacy of TOPICAINE® 4%, Ela-Max® 5% and EMLA®. TOPICAINE® 4% showed the best efficacy overall. The study was published in Lasers in Surgery and Medicine 2000; (Suppl.12):19 with title “Comparative Study of 3 Topical Anesthetics After 30-Minutes Application Time”. 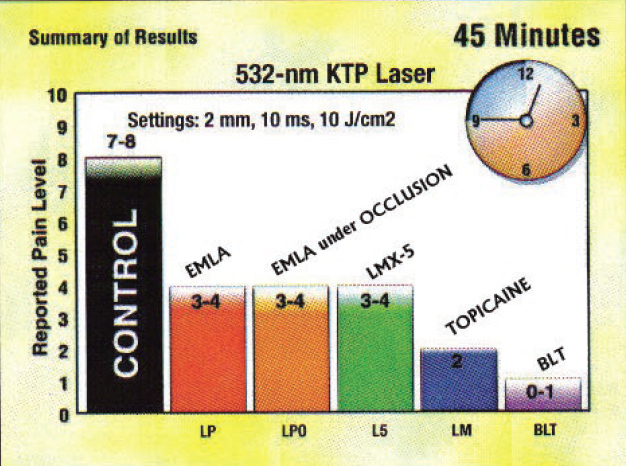 Effective anesthesia to laser-induced pain stimuli was demonstrated in a comparison of three topical anesthetics, with TOPICAINE® and ELA-MAX® 5 proving superior to EMLA® after a 30-minute application time, and with the highest level of anesthetic efficacy obtained with TOPICAINE® and EMLA® 30 minutes after their removal. The Journal of Anaesthesiology and Clinical Pharmacology published the results of a follow-up toxicity study related to the 2008 clinical trial conducted by Colleen Lambertz, MSN, MBA, FNP; Christopher Johnson, MPH, Paul Montgomery MD, and James Maxwell MD. It was titled “Toxicity of topical lidocaine applied to the breasts to reduce discomfort during screening mammography”. 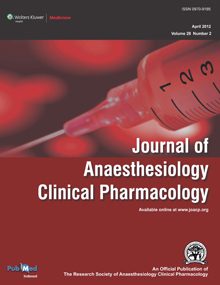 This study conclusion was that 30 grams (1 Oz) of 4% lidocaine gel (TOPICAINE 4%) applied on the breasts and chest wall and covered for 1 h in ten healthy women resulted in plasma concentrations of lidocaine and MEGX well below therapeutic or toxic levels and had no clinically significant adverse events. NOTE: Application of any topical anesthetic prior to mammography is an off-label use of the product. Only physicians and nurse practitioners can use medicinal products for off-label uses. The journal Radiology published the results of a clinical trial conducted by Colleen Lambertz, MSN, MBA, FNP; Christopher Johnson, MPH, Paul Montgomery MD, and James Maxwell MD. This was an independent, double blind, placebo controlled study on 418 women. The article is titled “Premedication to Reduce Discomfort during Screening Mammography”. The conclusion of this study was that premedication with 4% lidocaine gel (TOPICAINE®) significantly reduced discomfort during screening mammography, and reduced discomfort may improve the likelihood of future mammographic screening and early detection of breast cancer. Topical anesthetics have evolved from a simple solution of cocaine to creams, ointments, gels, liposomal preparations, and to the latest sophisticated patches and peels. Topical anesthetics are essential for performing diagnostic, therapeutic, and cosmetic dermatology procedures. These anesthetics non invasively deliver anesthesia in locally required areas. In this review, titled “ Percutaneous dermal drug delivery for local pain control ”, doctors Sujatha Tadicherla and Brian Berman. present an overview on the mechanism of percutaneous absorption of skin and address the composition, duration of onset of anesthetic effect, uses, and side effects that are applicable for the products. 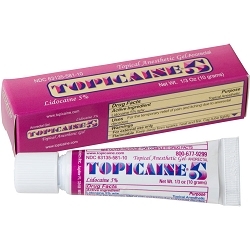 TOPICAINE® is being used extensively in the field of cosmetic dermatology. It is indicated for pain relief prior to procedures like electrolysis, waxing, laser hair removal, permanent make up, tattoos, collagen injections, botox injections, hair transplants, laser treatment of telengectiasis, and acid peels. The 5% formulation can also be used for anorectal pain relief. Ther. Clin. Risk Manag. 2006 Mar; 2(1): 99–113. 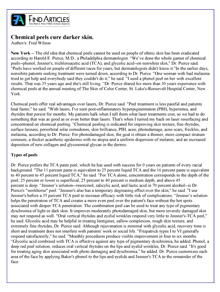 Dermatology Times magazine published an article titled “Chemical Peels Cure Darker Skin” describing the work of Dr Harold Pierce, an innovative Philadelphia dermatologist that uses TOPICAINE® 4% prior to chemical peels and wound debridement. The old idea that chemical peels cannot be used on people of ethnic skin has been eradicated according to Harold E. Pierce, M.D., a Philadelphia dermatologist. “We’ve done the whole gamut of chemical peels--phenol, Jessner's, trichloroacetic acid (TCA), and glycolic acid--on nonwhite skin," Dr. Pierce said. "Peels have worked on people of different races for years, but dermatologists didn't know it." 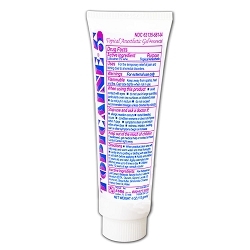 NOTE: Chemical peels and wound debridement are off-label uses of the product. Only physicians and nurse practitioners can use medicinal products for off-label uses. 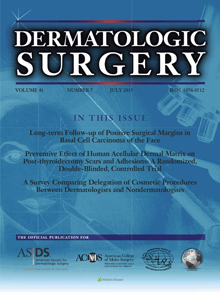 Dermatologic Surgery magazine published a review article on seven anesthetics including TOPICAINE®, EMLA®, Ela-Max®, S-Peel® and others; authored by Dr Paul Friedman; Dr Erick Mafong, Edward Friedman BS and Dr Roy Geronimus, entitled “Topical Anesthetics: EMLA and Beyond”. There has been a recent release of several new topical anesthetic agents with some demonstrating efficacy after a 30-minute application time. A reservoir of anesthetic is located and stored in the upper skin layers during application, providing additional anesthetic benefit 30 minutes after removal. NOTE: In this study, the product was tested under occlussion. ESBA LABORATORIES DOES NOT RECOMMEND OCCLUSION.